Cristina Romero-Bosch, NMD is a graduate of Southwest College of Naturopathic Medicine in Tempe, Arizona. After receiving her doctorate degree in naturopathic medicine, Dr. Bosch was selected among a nationwide pool of physicians to become the sole resident in Integrative Medicine at Yale University’s Prevention Research Center Griffin Hospital and University of Bridgeport College of Naturopathic Medicine. She lectured extensively on the relationship between Metabolic Health and chronic endocrine conditions like Fibromyalgia and Hypothyroidism and recently published in local journals such as Natural Awakenings. Prior to attending medical school, she attained a BS in Nutrition at Rutgers University. Dr. Bosch is currently licensed to practice in the states of Arizona and Connecticut. She is an active member of the Endocrine Society, the American Association of Naturopathic Physicians, and the Arizona, New York and Connecticut Naturopathic Medical Associations. 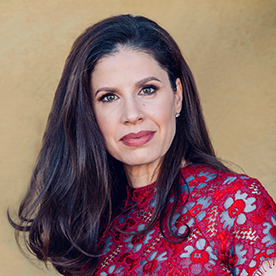 While in medical school, she co-founded the Naturopathic Society International, a professional association of physicians that focuses on maintaining philosophical guidelines in Naturopathic practice, and has assisted in fundraising efforts for the Foundations of Naturopathic Medicine Project textbook.